With the Sporadic E season getting under way, now is the time to become active on the 6m and 4m bands. Not for nothing is 6m known as The Magic Band! Learn more from the definitive guide, Six & Four, by none other than PW Editor Don Field G3XTT. The earlier Six Metre Handbook, written by Don 10 years ago, became one of the RSGB’s best sellers, with several reprints. Don updated it some years later with plenty of new material, including coverage of the 4m band, now available to many countries around Europe. 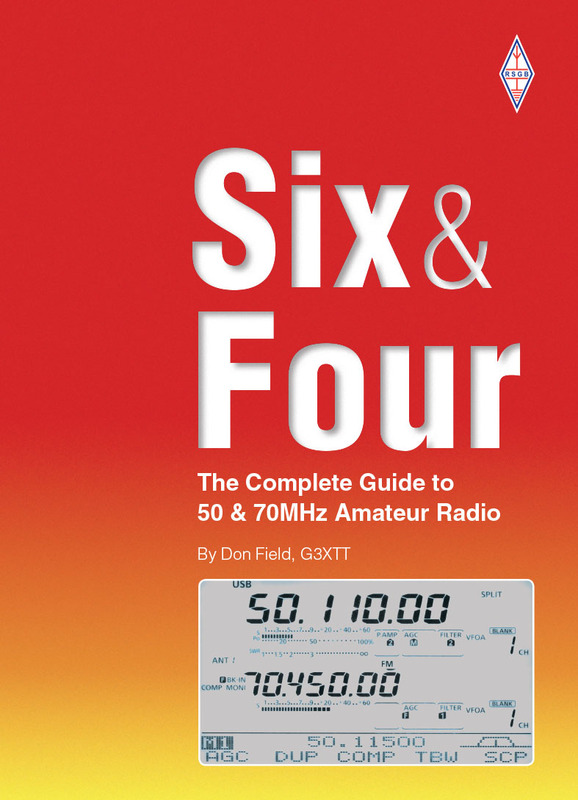 Six & Four covers everything from the history of these bands, through the choice of equipment and antennas to operating, both from home and elsewhere. There’s a chapter on contesting and awards and six appendices containing a wealth of useful resource material.